American culture is alive and well in Paris, France, as many of the city’s youths can be seen walking confidently through the streets in Chicago Bulls caps and Patriots starter jackets. The North American influence doesn’t stop at fashion though as for the past few years Paris has wholly embraced the fast food culture too. Food trucks and burger joints are scattered throughout town now, a far cry from the Michelin starred restaurants we used to write home about. Blend can be found at the forefront of this culture, and there’s a good reason for that. The Joint: Blend, Hamburger Gourmet, 44 Rue d’Argout, 75002 Paris, France. You can find their website here. The Vibe: The original Blend, with a joint opened in the East now, is found nestled amongst trendy shops and a shop hop from the Palais Royal. It’s clean cut, well designed, and fun. The walls are covered in cute graphics and phrases and the atmosphere inside is youthful and trendy. Blend is built on great marketing and the company’s simple burger logo can be found stuck next to graffiti across the capital. We order the West burger with a side of cheesy fries, and the Hamb with a bowl of homemade ‘slaw. We were excited enough when our neighbour’s food arrives, and then the waitress heads out and places the West burger on the table. It’s dripping with a blend of cheddar cheese, served on a thin toasted bun, and hidden amongst the dairy is a really juicy beef burger. It only takes a few bites before it’s declared one of the best burgers we’ve eaten, and we hadn’t even look at the cheesy fries at that stage. They’re overshadowed quite frankly, but just as impressive and taste great with a side of BBQ sauce. The Hamb is a match for any burger too. It’s a light airy bun stacked with a beef burger, 1000 island dressing, a secret sauce, pickles and iceberg. 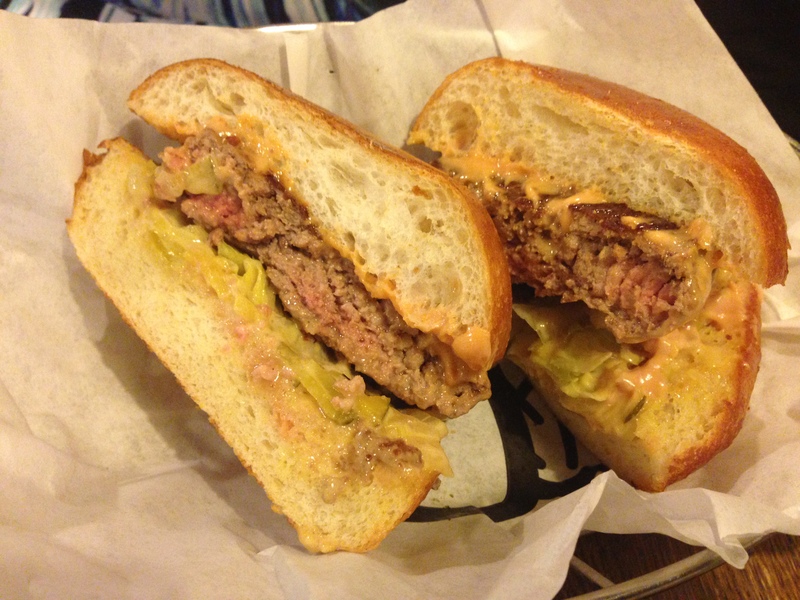 Whilst it’s your more conventional burger it’s full of flavour and drips lightly through your fingers. The coleslaw is made with cabbage and shallots to give it that crunch and dressed with Greek yoghurt for a smoother taste. Blend is the real deal when it comes to burgers and we’re confident that it tops any joint we’ve covered to date. The fun didn’t stop there either – we grab a homemade peanut butter cookie to go before heading back into the sun and a date with the Eiffel Tower. The Price: You’re looking at €10 for a burger and €4-5 for sides. 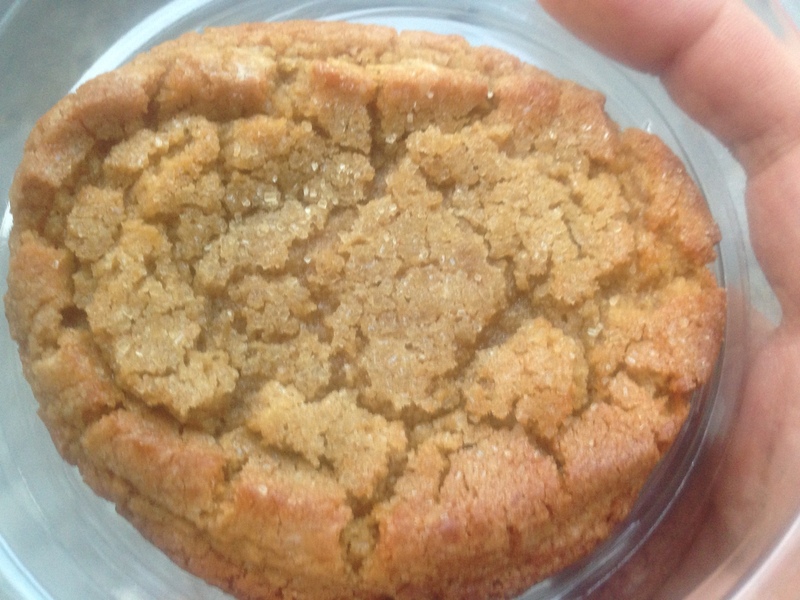 The peanut butter cookie was an agreeable €2. 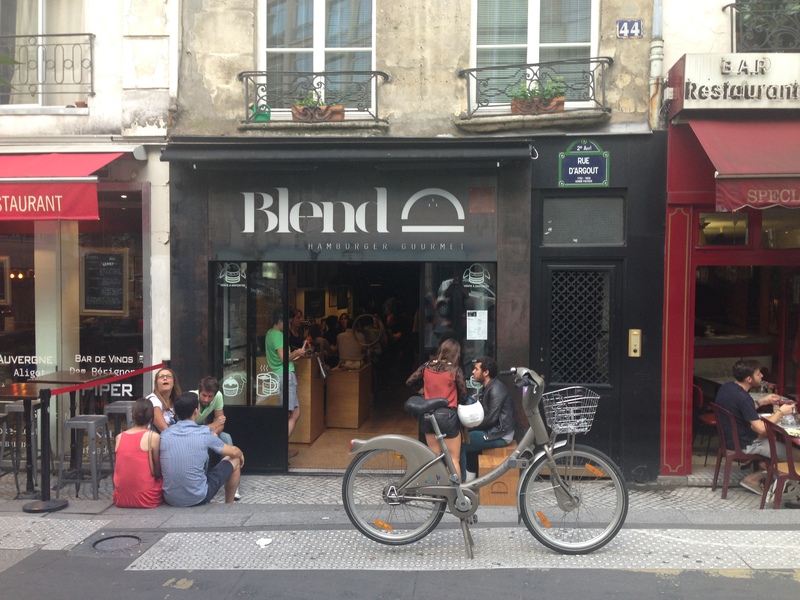 HAVE YOU EATEN AT Blend in paris? 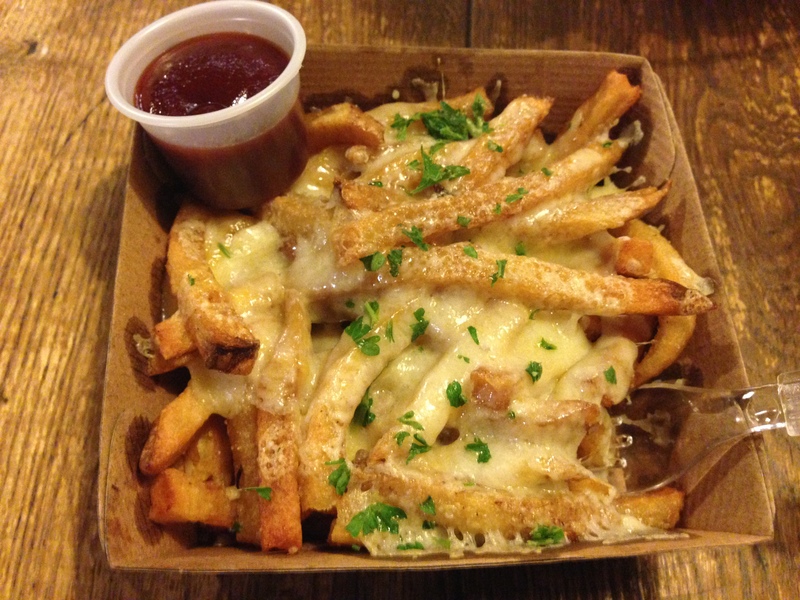 IF SO TELL US HOW YOU GOT ON OVER AT OUR TWITTER PROFILE – @OUTFORLUNCHBLOG. Posted in ParisTagged america, American culture, BBQ, blend, burger joints, cheese, coleslaw, fast food culture, Food, france, fries, Hamb, hamburger, Hamburger Gourmet, lunch, palais royal, paris, rue d'argoutBookmark the permalink.